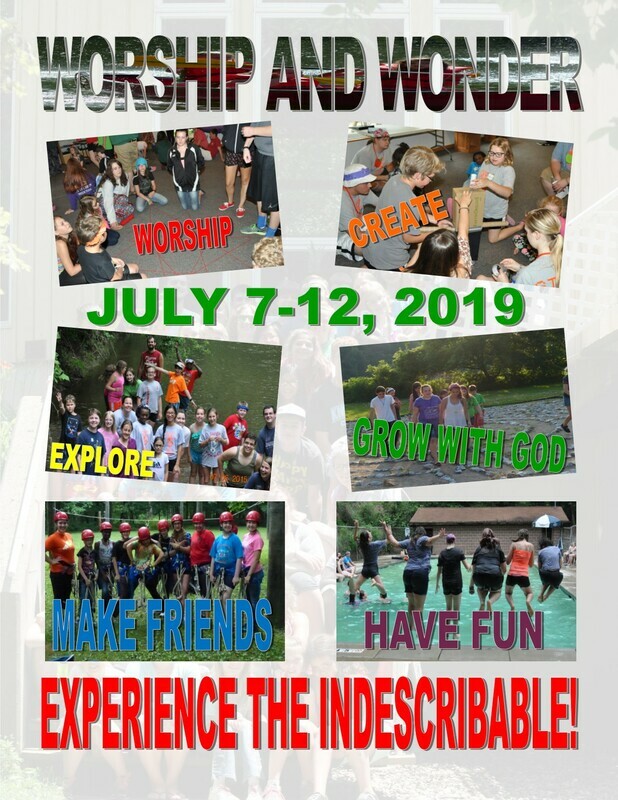 ﻿Camp is July 7-12, 2019! 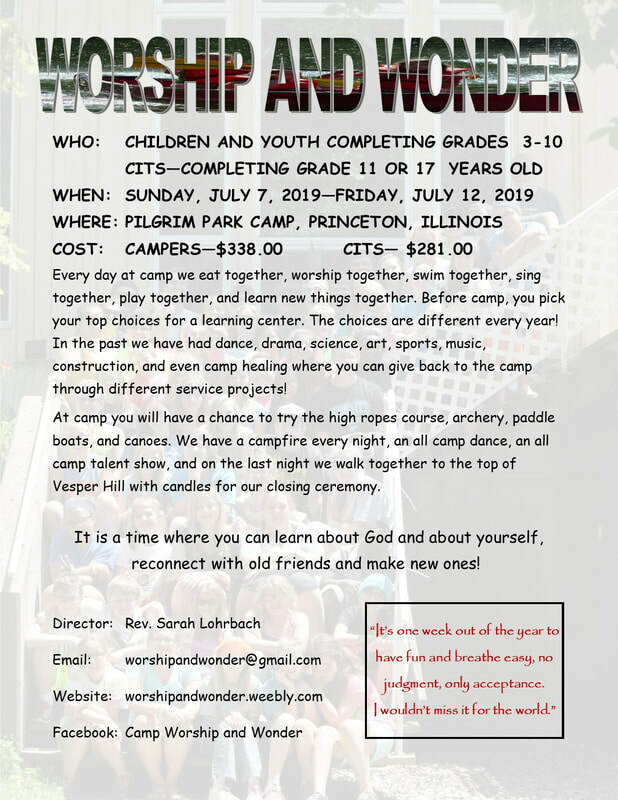 Registration is now open for Camp Worship and Wonder 2019! Sign up now! Don't miss out!! Every year at Camp Worship and Wonder has brought me closer to God, and brought me the love of a family I will never forget. It’s the only week in the entire year where I’m not ashamed to be my true self. The memories and friendships that are made there will last you a lifetime. This place is basically a home. THE BEST WEEK OF YOUR LIFE!! You’ve heard of the Taste of Chicago? Tenderfoot Camp is a taste of camp! For 48 hours with just two nights away from home, Kindergarten through 2nd grade children experience camp. 3rd graders who are not quite ready for a full week camp can attend as well. all this with a God-centered theme. ​Tenderfoot Camp is a great beginning!